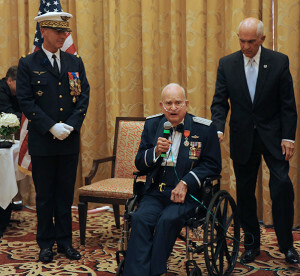 Retired Gen. Seth McKee, World War II veteran, speaks after receiving France’s highest honor Oct. 5, 2016, in Scottsdale, Ariz. McKee was also celebrating his 100th Birthday. 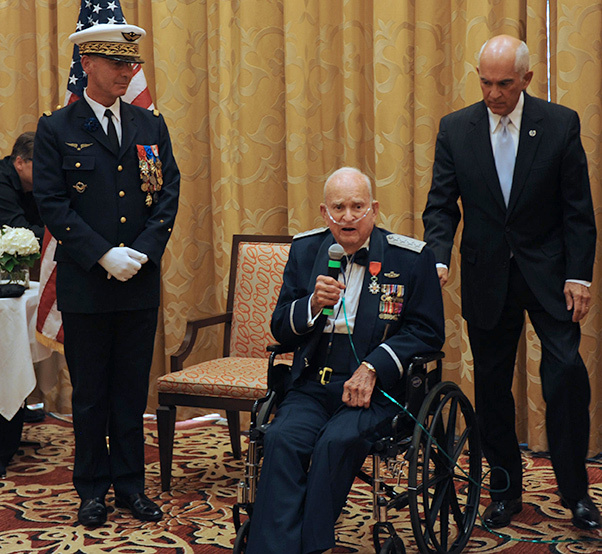 The oldest living American four-star general was awarded the National Order of The Legion of Honor in the rank of Chevalier 5 November in Scottsdale, Ariz., Oct. 5. The award is the highest honor France bestows on its citizens and foreign nationals. Retired Gen. Seth J. McKee list of accomplishments is long and storied. McKee took part in 69 combat missions and is credited with downing two enemy aircraft. He flew cover for the D-Day invasion and was involved in bombing missions at “Saint-Lo”, “the Falaise Gap” and the “Battle of the Bulge”. 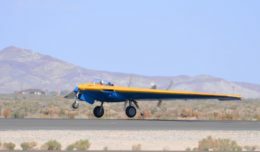 Following World War II, McKee held positions of increasing responsibility, both domestically and overseas, achieving the rank of four-star general, and retiring in 1973 as commander of the North American Air Defense Command. Brig. Gen. Vincent Cousin, defense attache of the Embassy of France in the United States, presented McKee with the award. McKee’s family and friends came out to witness the presentation and to also celebrate McKee’s 100th birthday. An emotional McKee later thanked those in attendance.